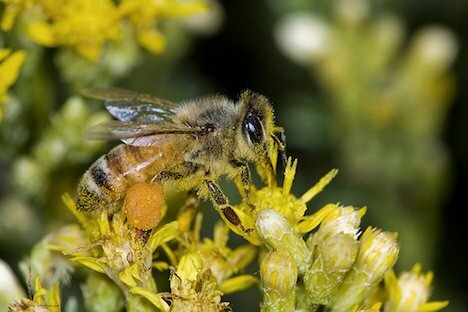 France has announced it is considering a ban on Syngenta’s Cruiser OSR insecticide, a chemical that is suspected of contributing to the decline of bee populations due to Colony Collapse Disorder. After research by the National Agency for Food, Safety, and the Environment showed neonicotinoid pesticides can hurt bee colonies, France gave Syngenta a two-week time frame to prove their pesticide is not responsible for the honey bee population collapse. Syngenta denies any link between Cruiser OSR and honey bee decline, but studies have apparently shown there is a link between Colony Collapse Disorder and neonicotinoid pesticides. U.S. researchers fed 16 hives tiny doses of high fructose corn syrup laced with the chemical, and left 4 hives untreated. Four months later the hives were doing fine, but after six months, 15 out of 16 hives had a 90 percent collapse. The four control hives remained healthy and unaffected. Alarming honey bee declines became noticeable in North America in 2006, and soon after were seen in Europe and Taiwan as well. There are different theories as to why the rapid declines are taking places, but for now, researchers say it’s likley a combination of pesticides, habitat loss, parasitic mites, and disease. The proposed ban in France would still allow some versions of the pesticide to be used on maize crops.